Undead Apocalypse Split Blade Fantasy Sword w/ Green Cord Wrap 25" ov. 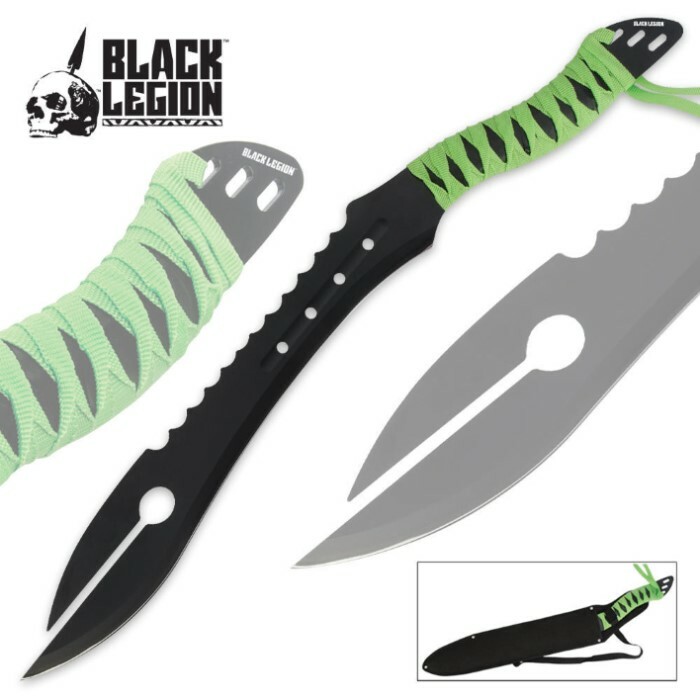 This Undead Apocalypse fantasy sword will slash right through a horde of zombies or virtually anything else, offering a unique split-blade design with a sharp edge and menacing upper serrations. The one-piece tempered steel construction is rock solid with an anodized black finish. 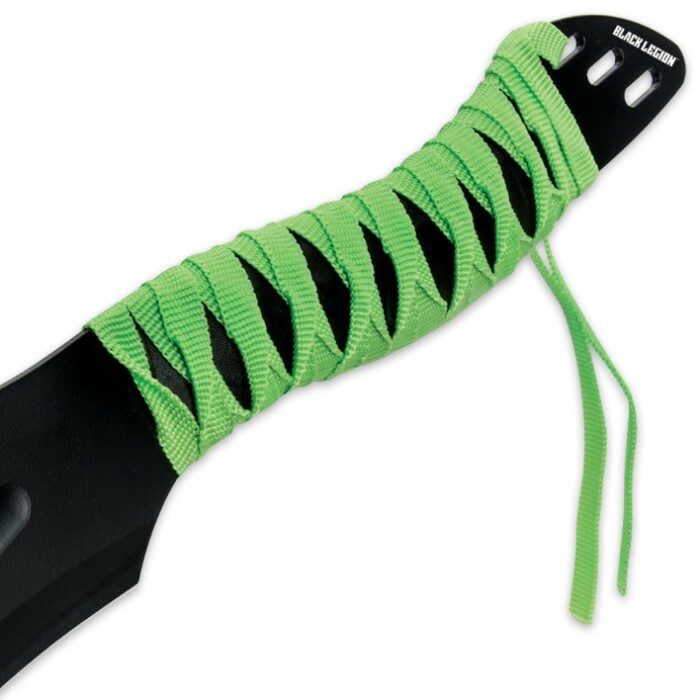 Fantasy cut-out designs, the unique blade shape and the green cord-wrapped handle offer designer touches at a flea market price point. 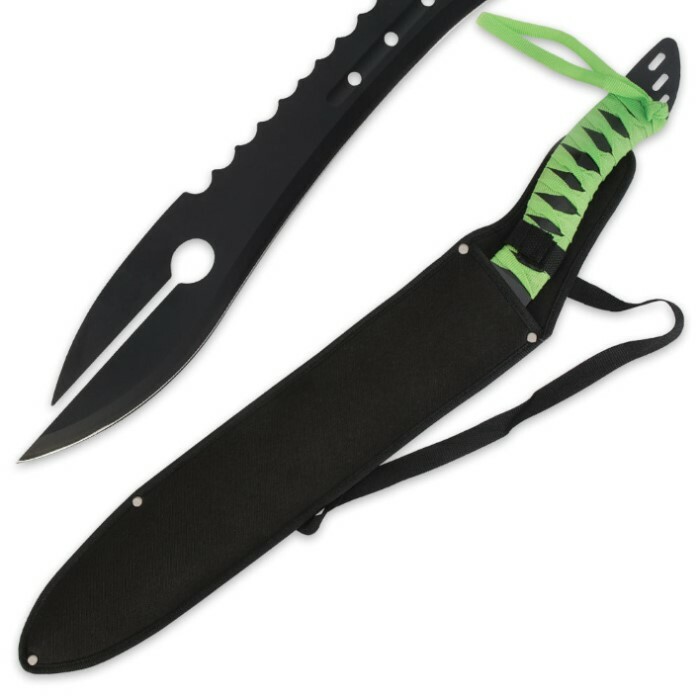 A ninja-style shoulder sheath houses the blade and allows you to carry it like a pro.25" overall.